We are a full service medical facility, capable of performing most of the treatments your pet may need. Complex cases may be referred to an appropriate specialist. There is an emergency service on call 24 hours a day, 7 days a week, for any emergency you may have. 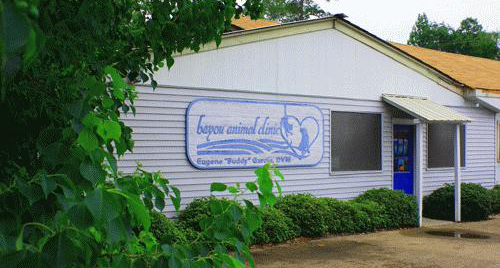 The staff at Bayou Animal Clinic is committed to giving you and your pet the highest quality care and service possible. We would like to share with you the commitments, we as a staff, promise to uphold. To provide the highest quality of veterinary care. 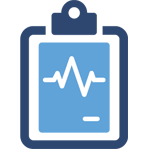 To offer the proper services necessary to maintain the highest quality of life for each patient. To treat our clients and their pets as we would want to be treated. To offer all the services expected of us. To created a personal and pleasurable experience for all clients and their pets each time they visit the clinic. To always do our best, and offer the best first. Bayou Animal Clinic’s practice philosophy is that preventative medicine is always more successful than emergency medicine. Bayou Animal Clinic recommends yearly physical exams and vaccinations coupled with senior wellness exams after the age of five years old. In clinic diagnostics allow the caring staff at Bayou Animal Clinic to get the results of your pet’s blood work in less than ten minutes! The ability to obtain liver and kidney profiles, coupled with a complete blood count enables our doctors to determine if there may be an underlying problem with your pet that may not be seen by a physical and visual examination.